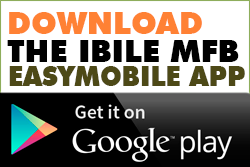 IBILE Easy Save brings individuals to enjoy the IBILE MFB brand. It offers you variety of savings accounts that suit every stage of your life, with unique benefits designed to match your personal banking needs as you grow. With an IBILE Easy Save Account you can start saving today with as little as ₦500. * To open an easy save account you will fill an account opening form. * Provide 2 passport photographs. * A valid means of identification. * Utility bill of not more than 3 months old. * Enjoy high interest rate of 4.2% per annum. IBILE Corporate Account brings a whole new dimension to business finances with its world class management of your business account. In the world of Microfinance banking, we bring the convenience of doing business with organizations easy and simple. * Completed Account opening form. * 1 passport photograph of signatories. * Copy of Valid ID of each signatory card/form. * Board Resolution (Must be signed by two Directors or One Director and registered Company Secretary (ON LETTER HEAD). * Copy of Certificate of Incorporation. * Copy of form CAC.7 (CTC). For Hospital: Membership of Medical Association (NMA). For Pharmaceutical: Membership of Pharmaceutical Association, Annual retention of office. For School : Evidence of registration with Lagos State Ministry of Education. It’s never too early to start planning for your kid’s future. Put your children on their way to financial independence with the IBILE KIDDIES Savings. With our kiddies savings account, parents have access to Back to School loan for their child(ren) school fees.s. * Attractive interest of 4.2% per annum on savings. * Child enjoys back to school gift items. * Easy access to IBILE Back to School loan. IBILE LOYA is a savings account which gives additional reward for your investment with the bank while helping you make financial plans to meet your future needs. Save for a minimum of 90 days without withdrawal and access loan twice the amount saved with no collateral required, higher interest on savings and lower interest rate on loans. * Customer saves at his/her own pace. * Save for a minimum of 12 weeks without withdrawal & qualify for a loan. * LOYA savings may only be withdrawn after the loan has been paid back in full. * Account will be used as collateral for loan. * Interest will be forfeited if more than 3 withdrawals are made within a month. * Loya loan facility is at 3% flat monthly interest rate. * Loya Savings interest rate is 7.5% per annum. With IBILE Esusu account, we help you save from your daily sales without you leaving your place of business. Get on board and join the happy business people who are committed to expanding their businesses and building their savings. * The deposit can be used as collateral to secure a loan. * Savings interest rate of 5% per annum. * Customers will enjoy a lower rate of interest on their loan below the standard interest rate being charged by the bank. * Issuance of a passbook. IBILE ROSCA is our savings and loan platform designed to help you plan and save more efficiently and build credit with ease. This product is for business men and women who have immediate need for loans to do business. Open a savings account and save for a specific number of days (minimum of 10 days). This will qualify you to access triple of the amount saved or an equivalent of 30 days daily contribution. * Contribute a minimum of N1000.00 daily. * Contribute for 10 days and qualify for a loan. * Loan value = 30 days contribution. * Continue daily contributions to payback loan. * Customer to contribute for 21 days for repayment. * Daily contribution must be consistent. Bulk payment is not allowed. * Customers to have a passbook for daily recording of contribution/repayments and savings. IBILE Investment is an investment account that guarantees you competitive interest rates to generate maximum returns on your invested funds. We offer highly competitive, unbeatable and negotiable interest rates on all our Fixed deposits. Tenor ranges from 30 days to 365 days. You also have access to credit facilities against your Fixed deposit investment if you do not wish to terminate your investment before its maturity. As a Lagos State owned Microfinance Bank; you are guaranteed 100% that your funds is safe and will be well managed. Also, you will have access to your funds whenever you need it.